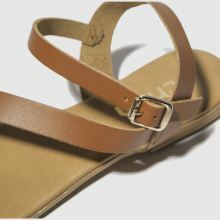 Perfect for those sunny afternoons and evenings, the Sicily sandal drops from our new season schuh collection. 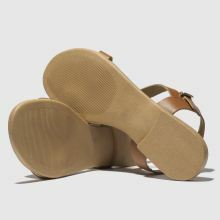 This versatile sandal features tan leather foot straps with an asymmetric strap for added interest. An adjustable buckle completes the look.